If you are contemplating a complete dental restoration, you may be considering both dental implants and dentures. While each has their advantages, there is a solution that offers benefits from both restorative options. Hybrid fixed dentures can restore your complete smile, with the secure, fixed elements of dental implants without the cost of a full mouth restoration using implants. At Montevallo Family Dentistry, we are pleased to offer our patients seeking restoration of their smiles hybrid fixed dentures as one of our dental services. The biggest drawback of dentures is that they are removable, causing slipping and chewing issues. No one wants their teeth to slip out during a social situation. Hybrid fixed dentures using the All-on-4® concept offer the fixed permanency of dental implants, with the affordability and convenience of dentures. No adhesives and no slipping – just a beautifully restored smile with a high level of functionality. The All-on-4® implant denture treatment concept is simple, yet ingenious. Four strategically placed dental implants are used to hold a full set of dentures in place. Dr. Shunnarah uses our 3D cone beam imaging to plan and complete the dental implant surgery for exceptional results. 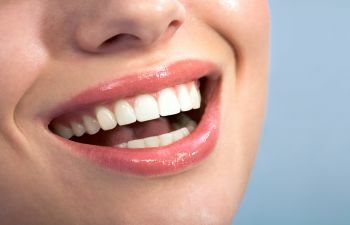 Once the dental implants are in place, the customized dentures can be secured, creating a permanent, beautiful smile. What makes this concept so unique is that most All-on-4® implant procedures can be completed in one day. Our patients can walk out the same day with a complete smile – full dentures are fixed in place while the implants heal, then the permanent denture is placed once they are completely healed. The dentures are made from ceramics that create a more natural smile. The hybrid fixed dentures are also less expensive than other dental implant options, making them affordable, convenient and functional for our patients. If you already have dentures or are considering a full mouth restoration, contact Montevallo Family Dentistry for a consultation with Dr. Shunnarah to learn more about our dental restoration options, including hybrid fixed dentures.